CIL paint has announced the launch of the CIL shipping container transformation tour to celebrate the introduction of the new CIL paint colour centre. Celebrity designer Yanic Simard of Toronto Interior Design Group, transformed a 20-feet-by-20-feet shipping container, which showcases creativity through colour, design and unique, achievable do-it-yourself (DIY) projects. The shipping container is a mobile gallery travelling to Yonge & Dundas Square and The Distillery District in Toronto and to Philips Square and Old Port in Montreal, that takes the everyday objects and makes it extraordinary using the new CIL paint colour palettes as inspiration. The transformed shipping container is a “pop-up” inspiration hub showcasing four vignettes. These vignettes represent common areas in the home and feature new CIL paint colours. Together, the combination of the vignettes and DIYs housed in the shipping container showcases the transformative power of paint in a small space, and features the new CIL paint tools offered to customers in stores, including oversized paint chips, lifestyle guides and other take-home tools designed to make colour selection easier. 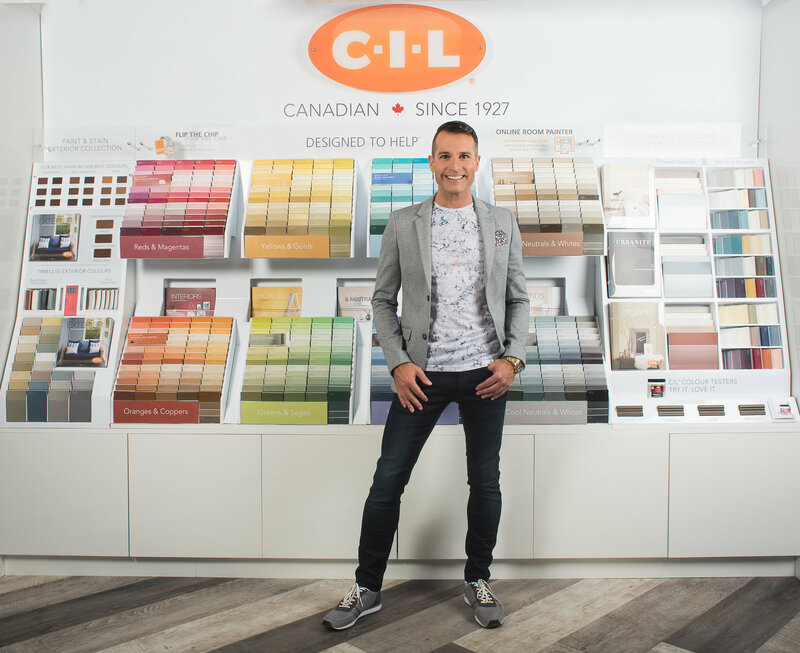 Consumers will also have the chance to receive a 10-minute custom design consultation and leave with new CIL paint chips and personal design advice. To learn more about CIL paint, visit www.cil.ca. Yanic Simard. Photo courtesy of CIL paint.